Barrie Slingo retired in January 2018 after a distinguished 50 year career primarily in the Australian aviation industry, working with Australian government departments and as a private consultant. Barrie undertook primary, secondary and tertiary education in Castlemaine, Victoria, gaining a Diploma of Electrical Engineering before taking up a position of Electrical Engineer Class 1 in Melbourne with the then Postmaster Generals Department in 1957. 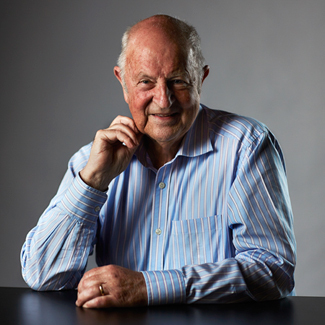 Barrie continued with his education in electrical and mechanical engineering at Melbourne University, RMIT and Swinburne University of Technology before undertaking taking additional studies in economics and business administration at Monash University, graduating with a Master of Business Administration. Assistant Secretary Airways Facilities Branch, responsible for the planning, development, installation, operation and maintenance of all Departmental airways facilities. Landrum & Brown Worldwide Aviation Services Co. In summary, Barrie has worked on or at most registered and certified airports in Australia and has an extensive knowledge of airport lighting, airways facilities and associated power supply systems. After more than 50 years involvement in the aviation industry, which in addition to his Australian experience, has involved working in many countries including England, South Africa, Germany, Malaysia, Papua New Guinea and New Zealand, Barrie is enjoying a well earned retirement. He still maintains a keen interest in the aviation industry and is a member of the Civil Aviation Historical Society and is contributing to the Society’s extensive knowledge of airport lighting systems and airways facilities power supply systems.